The Wet Lab is hosting a lecture by Justin Meyer, PhD, Assistant Professor in the Division of Biological Sciences at UCSD. The lecture will be held at the San Diego Central Library on Thursday, November 16th, from 6:30 – 7:30pm. Many people might envision an evolutionary biologist as a bearded Victorian scientist who analyzes dusty fossils and museum collections. The field of evolutionary biology has modernized over the decades and now many researchers use technology to actually watch evolution in action. I will discuss compelling results from the new field of experimental evolution including one from my lab where we watched new species of microbes evolve in test tubes. The Wet Lab is hosting a lecture by Embriette Hyde, PhD, Project Manager of the American Gut Project. The lecture will be held at the La Jolla Riford Library on Tuesday, November 7th, from 6:30 – 7:30pm. 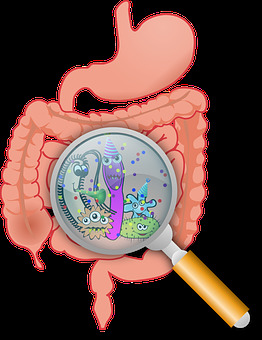 The American Gut Project is the world’s largest crowdfunded citizen science research project, with the goal of creating a comprehensive map of the human microbiome-including the identification of all of the “bad” and “good” areas. This map can be used by researchers and clinicians as a springboard for further studies to determine how to move people from the bad to the good areas. Come hear about how American Gut data is being used to meet this goal! The Wet Lab is hosting a workshop Saturday, October 21st at the La Jolla Riford Library from 3-5pm. Come meet the micro-organisms that make bread, yogurt, wine, and many other common foods. Participants will make their own “yeast balls” to see the chemistry of fermentation in action. This hands-on workshop is suitable for ages 8-14, but curious adults are welcome as well. This event is part of the San Diego Wet Lab’s science workshop series. Science workshops are usually held every 1st Saturday and 3rd Saturday at 3pm at the La Jolla Library. Please check the La Jolla Library events page for location details and changes in the upcoming schedule. The Wet Lab is hosting a lecture by Dorota Skowronska-Krawczyk, PhD, Assistant Professor in the Department of Ophthalmology at UCSD. The lecture will be held at the San Diego Central Library on Thursday, October 19th, from 6:30 – 7:30pm. Glaucoma is a blinding neurodegenerative disease, whose risk factors include elevated intraocular pressure (IOP), age, and genetics. Glaucoma is characterized by accelerated and progressive retinal ganglion cells (RGC) death. Despite decades of research, the mechanism of RGC death in glaucoma is still unknown. I will talk about our recent findings suggesting the role of cellular senescence and aging in the neuronal death. I will also discuss potential therapies that could be proposed based on our recent results. The Wet Lab is hosting a lecture by UCSD Biomedical Sciences PhD student Daniel Sandoval. The lecture will be held at the La Jolla Riford Library on Tuesday, October 3rd, from 6:30 – 7:30pm. Blood vessels are the cornerstone of many developmental and disease processes. They allow the transport of nutrients and waste from tissues, controlling inflammation. The surfaces of blood vessels are covered in a dense layer of carbohydrates, also called glycans. In this lecture we will learn about how important glycans are for regulating blood function, not only in disease but throughout human development. The Wet Lab is hosting a workshop Saturday, September 16th at the La Jolla Riford Library from 3-5pm. Enzymes are specialized molecular machines that control biological reactions in all living cells. Get to know the function of enzymes in the food we eat through hands-on experiments. This fun and informative workshop is most appropriate for ages 8-14, but curious adults are welcome as well. Limit 20 participants. To attend, please find the event on the library events page and register there! The Wet Lab is hosting a lecture by University of San Diego scientist Indrani Ganguly-Fitzgerald, PhD. The lecture will be held at the San Diego Central Library on Thursday, September 21st, from 6:30 – 7:30pm. There is little argument that without sleep, we are functional basket cases. However, scientists are still hard at work at trying to dig at the mystery of why we NEED to sleep at all. In this lecture, we will attempt to shed light onto the function of sleep, by diving into the neuro-genetic investigations that reveal a surprising connection between sleep, waking experience, and aging brain health. The Wet Lab is hosting a lecture by UCSD PhD student Julia Nussbacher. The lecture will be held at the La Jolla Riford Library on Tuesday, September 5th, from 6:30 – 7:30pm. In the early days of exploring the human genome, scientists thought only the 2% of the genome that coded for proteins had any use. The rest was termed ‘junk’ DNA. We have since discovered that the remaining 98% performs regulatory functions that are critical for development and health. One type of regulatory element encodes tiny pieces of RNA that control thousands of proteins. Join Julia Nussbacher from UCSD to learn what high throughput sequencing and computational biology can tell us about these tiny molecules. How can humans be so similar yet so different? The Wet Lab is hosting a workshop Saturday, August 19th, at the La Jolla Riford Library from 3-5pm. 99.9% of the human genome is identical among individuals. The other 0.1% makes us biologically unique. Sometimes the difference between two traits can be traced to a single chemical change in our DNA. In this hands-on workshop we will explore the genetics of perception and test our own DNA for a bitter taste receptor. Recommended for ages 14-adult. Interested in learning about sea urchins and sea stars while looking at live ones under a microscope? The Wet Lab is hosting a workshop Saturday, August 5th, at the La Jolla Riford Library from 3-5pm. The Wet Lab is hosting a lecture by scientist Robina Shaheen, PhD, from the Department of Chemistry and Biochemistry at UCSD. The lecture will be at the La Jolla Riford Library on Tuesday, August 1st, from 6:30pm – 7:30pm. Dr. Robina Shaheen is using chemistry to investigate one of the biggest mysteries of nature- the origin and history of the Red Planet. Learn how oxygen triple isotope forensics can tell the story of two famous meteorites from Mars, “ALH84001”, once thought to carry relics of life, and “Black Beauty -NWA7034”, an oldest rock from Mars. The Wet Lab is hosting a lecture by UCSD Biomedical Sciences PhD student Sarah Shires on the connection between Parkinson’s and heart disease. The lecture will be at the La Jolla Riford Library on Tuesday, July 11th, from 6:30pm – 7:30pm. What do your brain and your heart have in common? One cause of both neurodegenerative disease and heart disease is the accumulation of “cellular trash”. Parkin is one of several proteins mutated in patients with Parkinson’s Disease. Parkin is important in taking out and recycling cellular trash. While Parkin is found at higher levels in patients with heart disease, we still don’t know if this is helpful or harmful. I study how changes in Parkin affect the heart, and hope to eventually target Parkin to treat heart disease. The Wet Lab is hosting an artificial coloring workshop on Saturday, July 15th, at the La Jolla Riford Library from 3-5pm. Have you ever wondered what chemicals give candies their bright colors? In this hands-on workshop you will learn how scientists determine the composition of complex mixtures while analyzing the colored dyes extracted from candies. Please join us for a fun and colorful experience! Recommended for ages 10-16, limit 20 participants. To attend, please find the event on the library events page and register there!